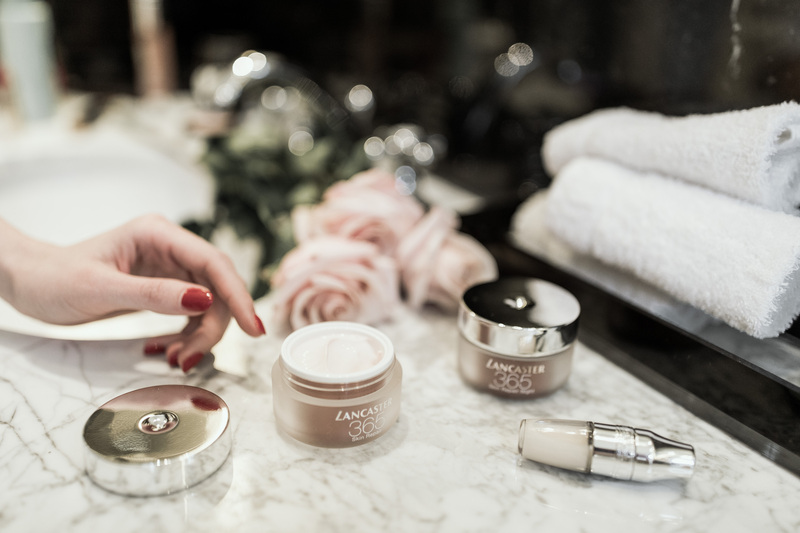 Let me introduce you to one of my favorite high-tech beauty gadgets that will make your life easier. The Dyson Supersonic hair dryer. Des and I saw the hair dryer for the first time in October 2016 at our hair stylist’s salon (Ultimativ Group), who are one of Austria’s brand ambassadors (next to Dieter Ferschinger from Graz) and were blown away by its undeniably beautiful and elegant design. Since then, it has been one of the most hyped beauty gadgets so far. The company invested around 60 € million in it. 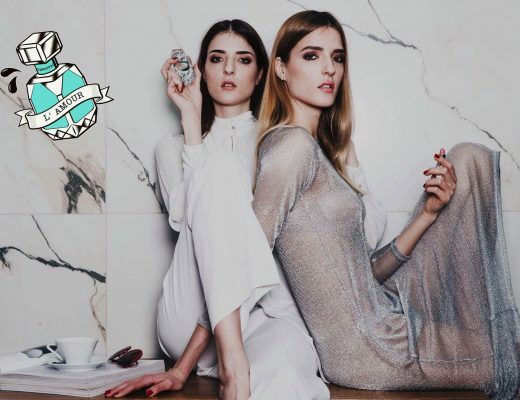 We have been constantly using the hair dryer for our photoshootings and travels, especially during fashion weeks. 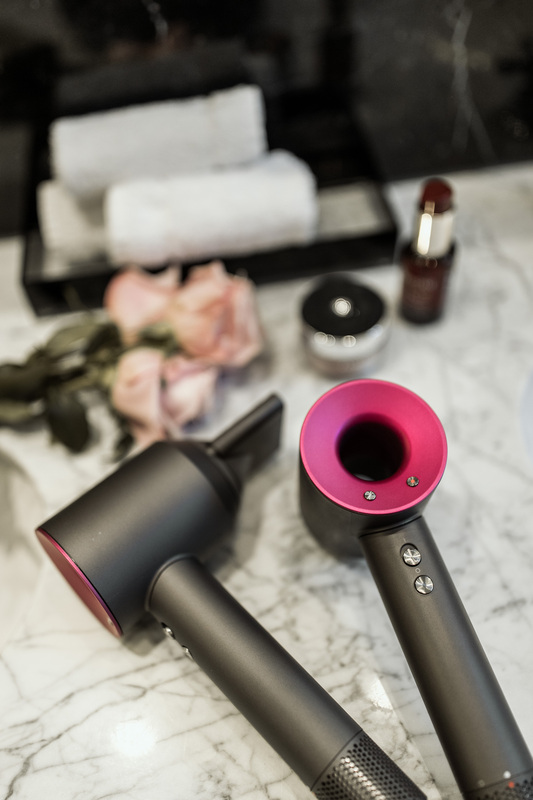 What separates the Dyson Supersonic from other blow dryers? Light & Small: The Dyson Supersonic is incredibly lightweight and smaller comparing to other dryers. It is compact and easily fits in your hand luggage. 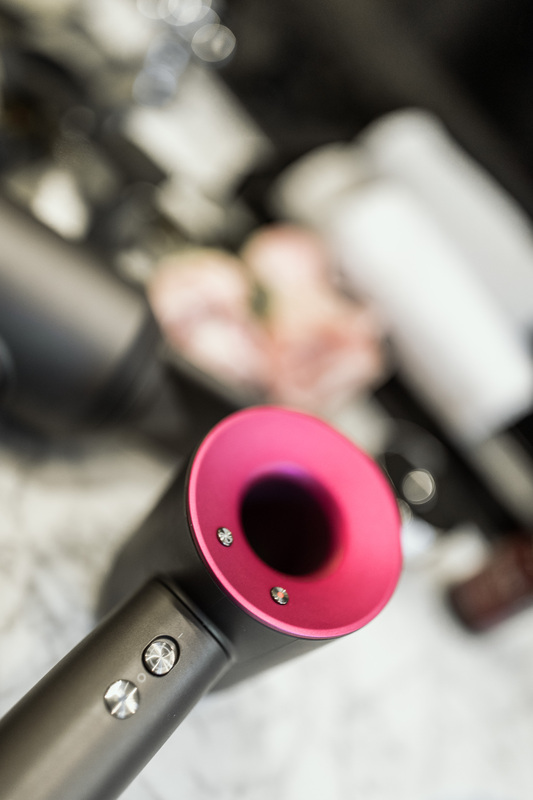 Conventional blow dryers are ususally heavy due to their bulky motors and feel less balanced. That’s why it feels like an arm workout after using it for awhile. ☺ The Supersonic is built with a V9 digital motor, a small-size motor that produces high pressure air and is placed in the handle (packed in accoustic buffle). That makes it easier and more comfortable to use. It is engineered for balance. Fast: The Supersonic is said to be on average 6x faster than other hair dryers. There are in total three airflow settings. 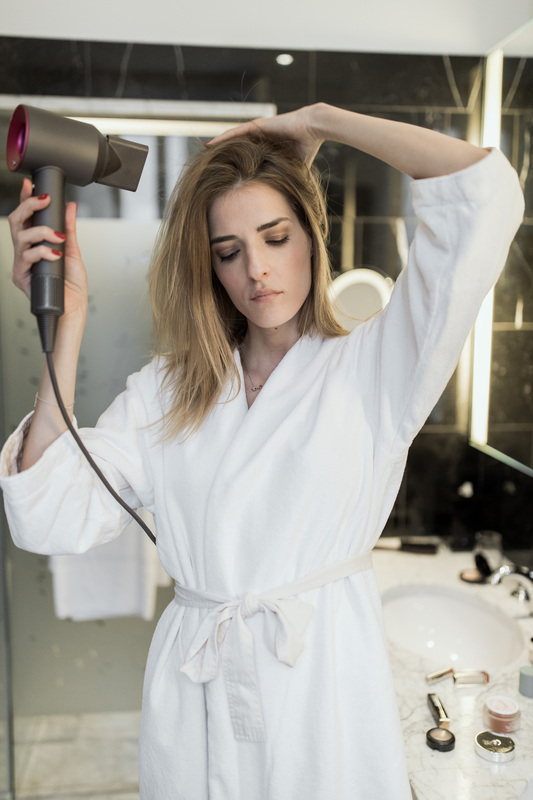 During fashion week the hair dryer can be a big time saver for us. Our hair gets fully dry in five minutes, which is perfect as we both have long, straight and fine hair. Heat control: Dyson’s clever heat control system regulates the temperature of the airflow to prevent extreme heat damage. It never gets too hot. 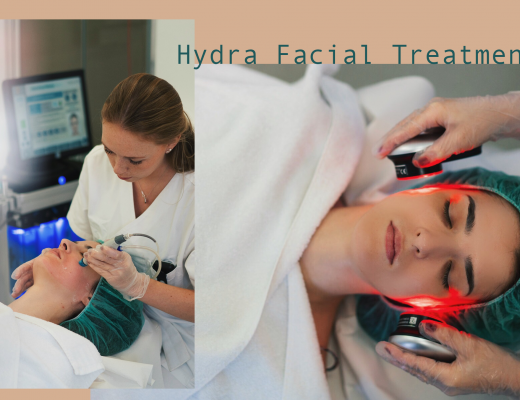 The velocity removes more water from the surface of the hair. Thanks to that, less heat is being used in order to dry hair. 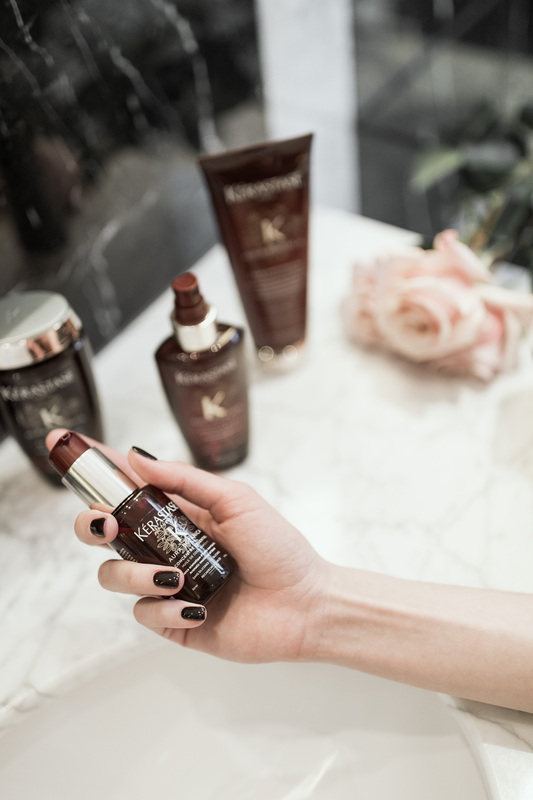 Since we’ started using the Supersonic, our hair dries smoother and appears shinier. Quiet: The Supersonic’s noise is incredibly low compared to other hair dryers. Pricey: The Dyson Supersonic is undoubtedly pricey for a hairdryer. It costs 399 €, which is more than other high-end hair dryers. However, it is a one of a kind product, because there isn’t anything like it on the market yet. Dyson invested around 60 € million in research and development for its Supersonic. It depends on what it means to you. E.g. How do you blow dry your hair? What does hair care mean to you? Are you using it professionally? I believe it is worth it to spend one off on a outstandingly good product, which primarily improves your quality of life and secondly lasts a long time (around ten years). 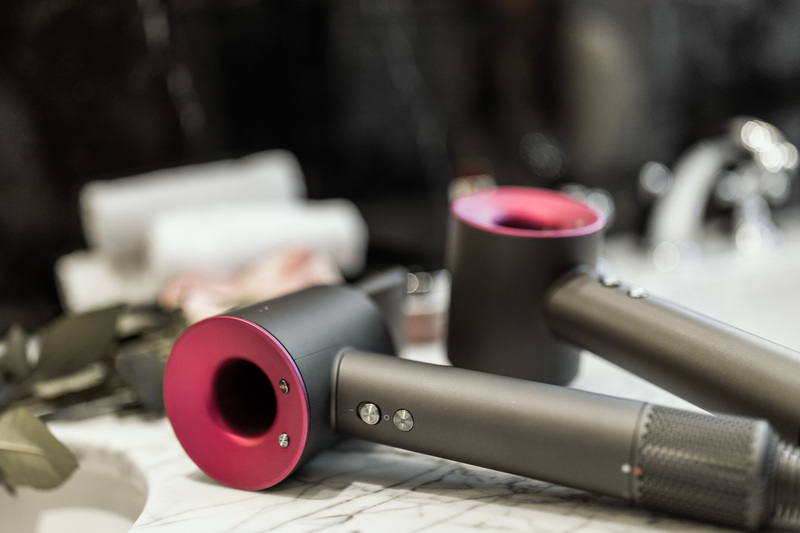 Color: The Dyson hair dryer comes in several colors, iron/fuchsia (as on the photos), white/silver and limited editions in black/purple and iron/red. Hello girls ! I have a question …. since I have very long and thick hair is this blow dryer gonna need more time to dry hair than the usual ones ? Thank you for your answer ! I love your post ! Ich habe mir bereits einen geholt und bin sehr begeistert. Leider föhne ich nur in meiner Wohnung und nicht im Ritz!!! I wish I had one, too. So chick! It looks really light and modern. I would like to try it out.